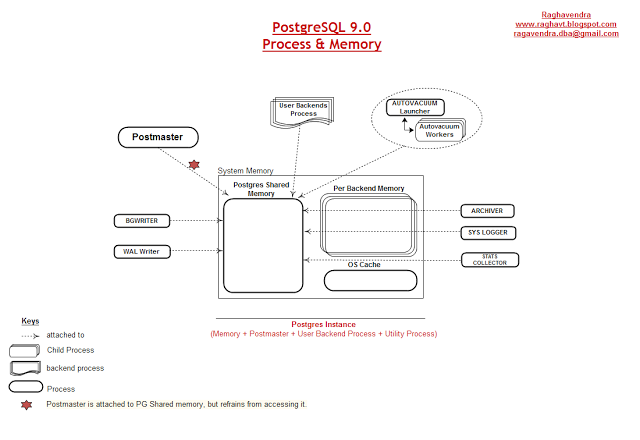 Every PostgreSQL Instance startup, there will be a set of utilty process(including mandatory and optional process) and memory. 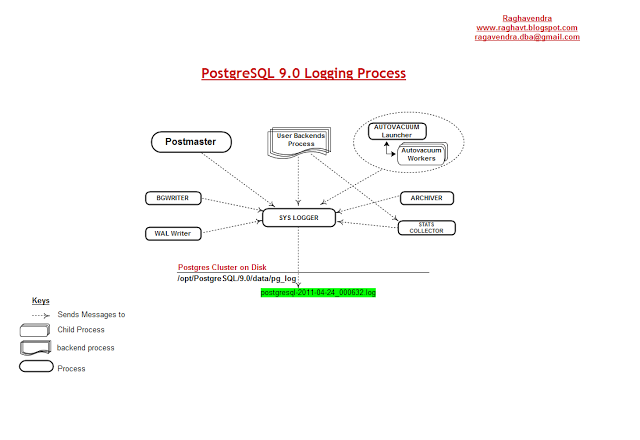 Two mandatory process (BGWRITER and WAL Writer) and four optional process (Autovacuum launcher,stats collector,syslogger, and Archiver). You can check it out with the command ‘ps -ef | grep postgres’ given below in figure 10.1. On Database Archivelog mode, once the WAL data is filled in the WAL Segment, that filled segment named file is created under $PGDATA/pg_xlog/archive_status by the WAL Writer naming the file as “.ready”. File naming will be “segment-filename.ready”. Archiver Process triggers on finding the files which are in “.ready” state created by the WAL Writer process. 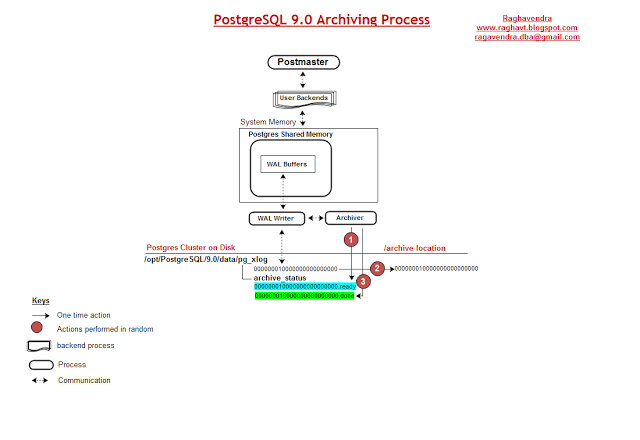 Archiver process picks the ‘segment-file_number’ of .ready file and copies the file from $PGDATA/pg_xlog location to its concerned Archive destination given in ‘archive_command’ parameter(postgresql.conf). On successful completion of copy from source to destination, archiver process renames the “segment-filename.ready” to “segment-filename.done”. This completes the archiving process. It is understood that, if any files named “segement-filename.ready” found in $PGDATA/pg_xlog/archive_status are the pending files still to be copied to Archive destination.